Authored extension for the Connections Business Directory plugin. If you're using Connections to create an author directory then Authored is exactly what you need. What is does is simple ... it will show a list of the author's recently published articles on the entry detail page view that is supported by many of the premium templates as well as the free templates included with Connections. Displays a list of the recent published articles authored by entry being viewed. Many optional settings to configure the list of latest posts. Install and activate, only minimal setup required. Single click in admin updates. The Link extension is required in order to link the blog author to their Connections directory entry. * Not compatible with the fade-in effect view. ** Free template included with Connections. BUG: Register text domain so translations can be loaded. TWEAK: Sanitize the saved settings. TWEAK: Improve code function separation. BUG: Use escaped var rather that raw var. BUG: Escape post title before display. NEW: Complete redesign in layout to allow for the display of the post\'s featured image, date, comment count and read more link. 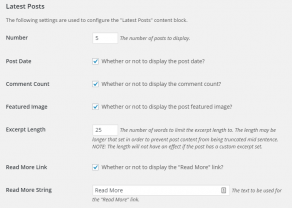 NEW: Add settings option to define number of latest posts to display. NEW: Add settings option to define whether or not the post date is displayed. NEW: Add settings option to define whether or not the post comment count is displayed. NEW: Add settings option to define whether or not to display the thumbnail of the post\'s featured image. 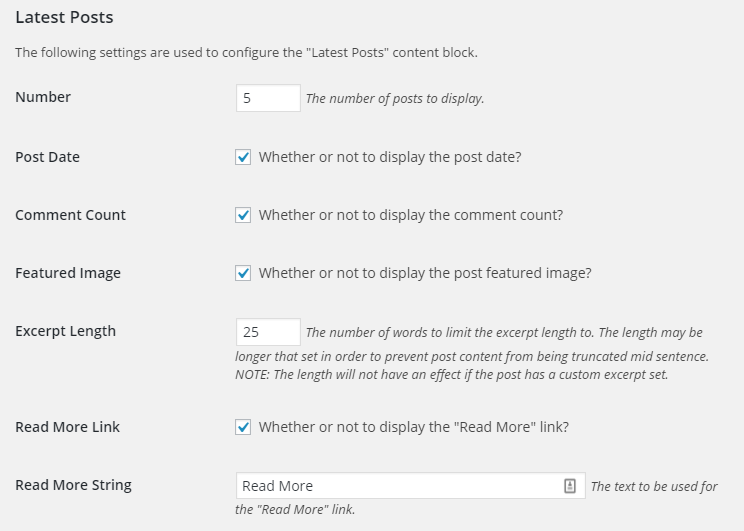 NEW: Add settings option to define the length of the post\'s excerpt. NEW: Add settings option to define whether or not to display a \"Read More\" link. NEW: Add settings option to define the string to be used for the \"Read More\" link. TWEAK: If a custom post excerpt was set, it will be used instead of one being created from the post content. TWEAK: Register widget using public static class instead of using create_function(). TWEAK: Rename sections from \"Authored Posts\" to \"Latest Posts\". BUG: Check that posts were returned before rendering the recent post list. TWEAK: Add class constant for version. TWEAK: Update license and updater to use class constant. TWEAK: Refactor to render the authored posts as a content block. OTHER: Minor code alignment cleanup. FEATURE: Add support for in-admin updates. BUG: Remove use of cnHTML::text(). This method is not yet available in the released version of Connections.